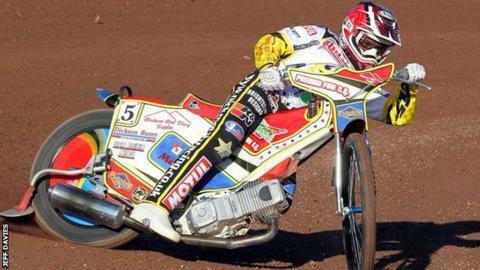 Australian rider Nick Morris has agreed to return to Swindon Robins for a fourth season at the Abbey. The 20-year-old first arrived at the Elite League club in 2012 and averaged 6.31 during this year's campaign. Morris becomes the fifth rider to sign up for the Robins for 2015, joining Troy Batchelor, Kyle Howarth, Charles Wright and Lewis Rose. "We are pleased to have Nick back. He's a rider we've invested in over the last few years," said boss Alun Rossiter. "He's come on well since he signed for us in 2012, and we are hoping he can take it up to the next level in 2015. "I'm generally quite hard on him, but I feel there are areas he can work on to reach his full potential. "Maybe his fitness and preparation could be better, but he's still coming on well and, if he can improve those things, I think he can have an excellent season."